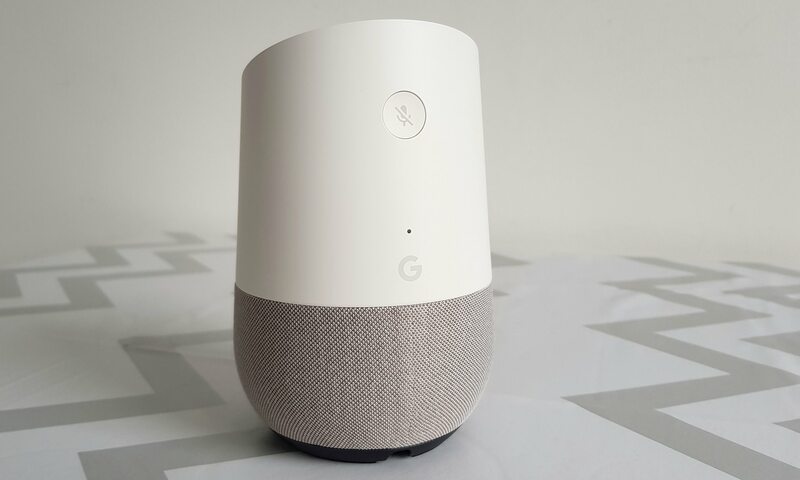 The Google Home smart speaker has finally made it to the UK, bringing the company’s always-listening voice assistant into direct competition with the incumbent Amazon Echo and its own assistant, Alexa. But is Google’s best worth buying? Artificially intelligent voice assistants are the new battleground between the big US tech companies and while Google is no stranger with voice search and Google Now being available on Android smartphones for years, it was beaten into US and then UK households by Amazon and its hit Echo speaker. 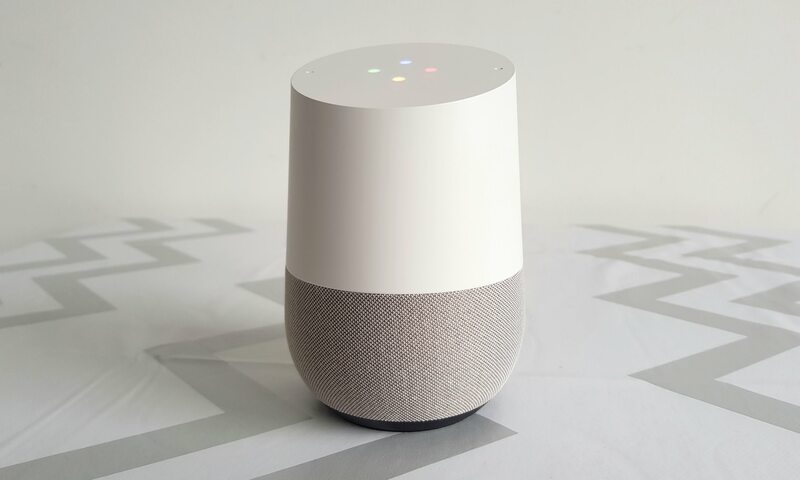 Google Home is a wifi-connected, voice-controlled smart speaker capable of playing music, answering questions and controlling other devices about the home. 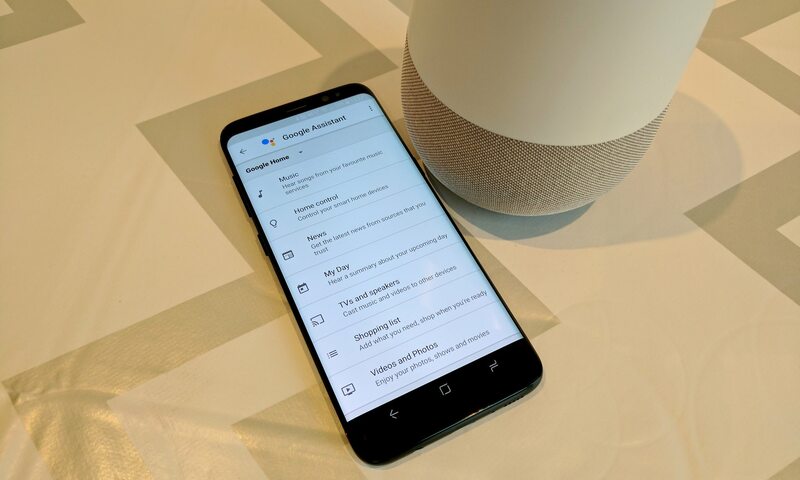 Inside awaits Assistant – Google’s virtual assistant – the same Google Assistant present in many Android smartphones, including the Google Pixel, Samsung Galaxy S8 and others. In Home, however, Assistant has a few more powers. For one, it’s more verbose and responds with greater personality than it typically will on a smartphone. That’s primarily because there is no screen attached to Home, so it’s voice or nothing. It means where Google Assistant on a phone would show a web search, Google Home reads out the top search result or answer to a question. Which is great, but could also be a bit problematic. The top of Home is touch sensitive and has two holes for the microphones. Tapping on the top pauses the music or cancels the current action while sliding your finger in a circular pattern adjusts the volume. It’s responsive and works well, but you can do either action via voice too. The bottom of Home contains three speakers: one facing forward and two on the sides. It’s not quite 360-degree audio, and won’t win Google any audio awards, but it’s loud and has a relatively large amount of bass for a small speaker. The bottom fabric cover can be changed, with various materials and colours available, although the simple white and grey colour scheme blends in well with my kitchen decor. Setting up Home is fairly straightforward using the Google Home app on an Android or iOS device. Tap through, input your Google account details and customise Assistant with likes, service preferences, your work and home locations and other bits. How much customisation is needed depends if you’ve interacted with Google Assistant or Google Now on another device, such as a smartphone or tablet. The more you use Google search and other Google products while logged in, the more information the company collects and the more Assistant can personalise responses and dredge up information you might be interested in. 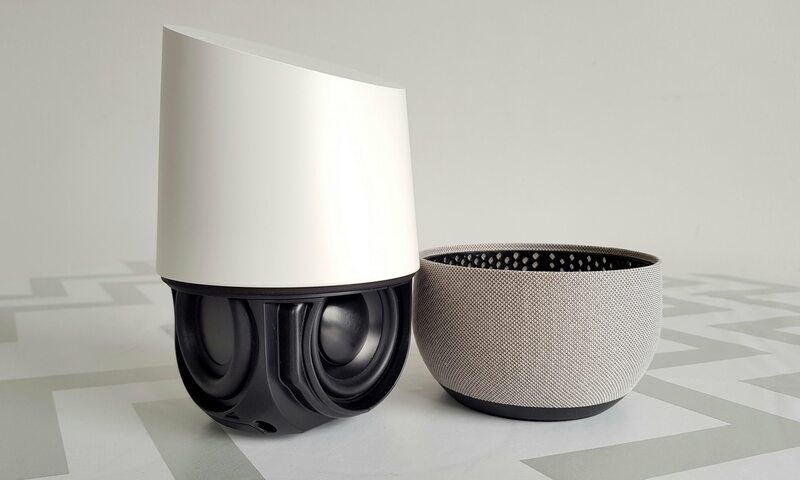 Of course, you have to completely trust Google to not view this profiling of your life as a massive invasion of privacy, but you also have to trust Google to bring a microphone-equipped speaker into your house in the first place. Google Home has a mic that’s switched on as long as the device has power and it isn’t muted (there’s a button on the back for those times you don’t want it to listen in). 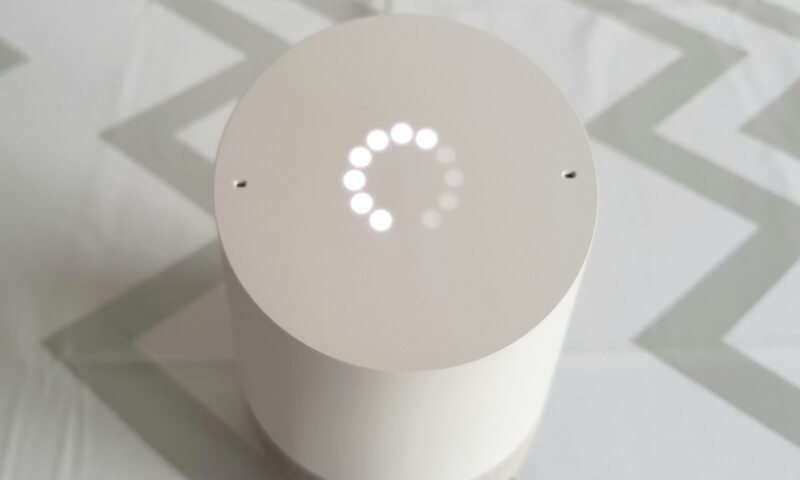 It listens out for the wake words “OK Google” or “Hey Google” and then, once it has woken up, starts sending anything you say to it to Google’s servers to interpret and send back responses. As long as you have a stable internet connection you wouldn’t know that it’s all powered by a server somewhere else, as the responses and interactions are almost instant. Things fall down and nothing works when the internet drops out, of course. Google Home is first and foremost a voice assistant. It can play music, including from Spotify and Google Play Music, and is very good at finding the random tracks, albums or playlists you might ask for, even if you’re not spot-on in your questioning. For instance, Home will still play my Discover Weekly from Spotify, even if I garble the request and ask for my “Discovery Weekly” or similar. Home can also command a Chromecast to play video from YouTube and a few other apps (although play controls are a bit hit and miss once the video is up and running on the screen) and receive audio via Google Cast and then control it via voice. Beyond media playback, Google Home has access to your personal information if you’re a Google user (there’s little point to Home if you’re not), and can pull information from your Google Calendar and other Google services. It’ll give you a snapshot of your day in the morning and tells you what your commute looks like, whether it’ll rain, and so on, most of the things I check first thing in the morning on a phone. It’ll also give you the latest pre-recorded headlines from your choice of BBC, Sky and others. Home will also do the usual array of alarms and timers, which is particularly handy when cooking. The best feature of Home, however, is Google Assistant’s ability to answer questions. It does so better than any rival, including Apple’s Siri, Microsoft’s Cortana and Amazon’s Alexa, as it has Google’s massive data set to answer them. It can tell you how old any celebrity is, and give you a their detailed personal histories, answer questions on basic science or solve simple pub trivia as well as the rest of the competition. But Home really shines when you ask it something obscure or out of the ordinary. For instance, did you know foxes mate in January and give birth 53 days later? And that urban fox cubs venture out into the open from about April? Neither did I, until Assistant read out the information from Dartford.gov.uk, an answer that was apparently trustworthy and from a site that’s relatively local to where I live. Assistant is capable of answering questions directly from Google’s built-in encyclopedia, but it’s also capable of performing web searches to find the answer to the question you asked. It’s incredibly powerful, but also open to abuse, as the only information you’re given is the domain name of the site Assistant is reading from. In all the hundreds of questions I’ve asked Home, I haven’t had fake news site read out to me – all the answers stood up to scrutiny. But you could see how it could happen in the same way Google’s highlighting of top answers in searches can be gamed. Google also has a very large database of places, shops and other location-based information, which again Assistant is very good at using. Asking how long it would take to get to Charles Darwin’s house elicited a full response, including that it was called Downe House and how to get there by car or public transport. The fact that it could work out that I meant Downe House from “Charles Darwin’s house” was impressive and something other voice assistants struggle with – you simply don’t have to ask precisely the right question to get the right answer with Home. Google Assistant can control various smart home devices, including its sibling company Nest’s smart thermostat, Philips Hue and Samsung’s SmartThings Hub. 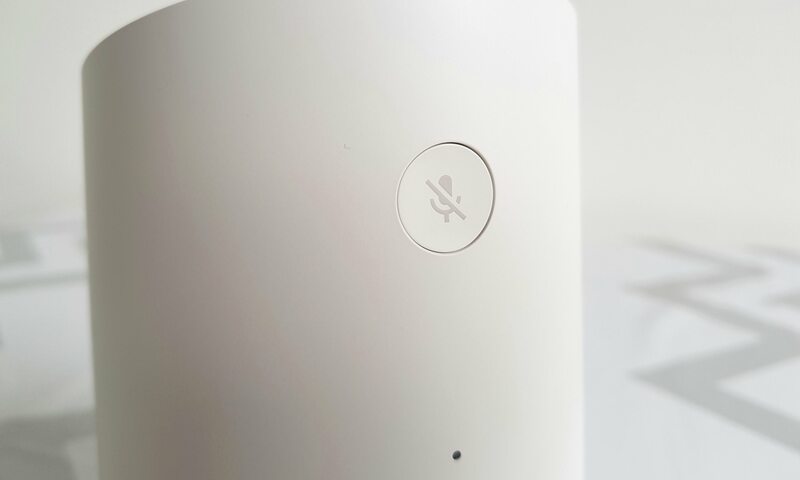 It behaves like most other voice assistants, allowing you to turn on or off devices just by saying their name. You can group devices to control them all in one command, but interestingly I found that without configuring it to, the Assistant sorted my Hue spotlights in the kitchen into a group anyway. I said “Turn on the kitchen spots” and it managed to turn on six out of the eight overhead spotlights in the kitchen. How it came up with only six bulbs or how it knew what I meant when I asked for the kitchen spots (they’re all named spot alpha through to spot hotel and all eight are in configured in a Hue room called Kitchen) I’m not sure. With proper rooms set up, Assistant works very well as a smart home controller, giving much more feedback on what’s happening when it happens. For instance, it’ll tell you how many lights it’s turning on in the group or if one particular device isn’t responding while the rest are working fine. It doesn’t yet support as many devices in the UK as Amazon’s Alexa, but the list is growing, and you can command them all from an Android smartphone, Android Wear watch or from Google Home in equal measures. Google Home costs £129, while coloured bases cost from £18. For comparison, Amazon’s Echo costs £150 and the smaller Echo Dot costs £50. Google Home is an excellent entry into the burgeoning smart speaker race that’s revving up between the big US technology companies. Amazon’s Echo and Alexa have a head start, but Google’s Assistant is highly capable in many ways, but strangely half-baked in others. From its wealth of knowledge, intelligence in knowing what you’re asking even if you butcher the question or don’t get quite the right term, and its easy setup, it feels well designed and ready. Assistant even has a personality, responding to the same question or action in several different ways that give the same information but in a varied, more human-like fashion. But then Assistant speaks in British English with broken cadence, that stumbles even on its own name. The words sound great, but it sounds like a computer reading text rather than a human speaking to you. For all the effort that Google put into making Assistant smart, adaptive, quirky and funny, it stumbles trying to get the words out in a way others do not. You won’t be fooled into thinking you’re speaking to a person, that’s for sure. Google Home is great fun, but there’s certainly room for improvement.